Emma decided to have a different CBS experience last week!! 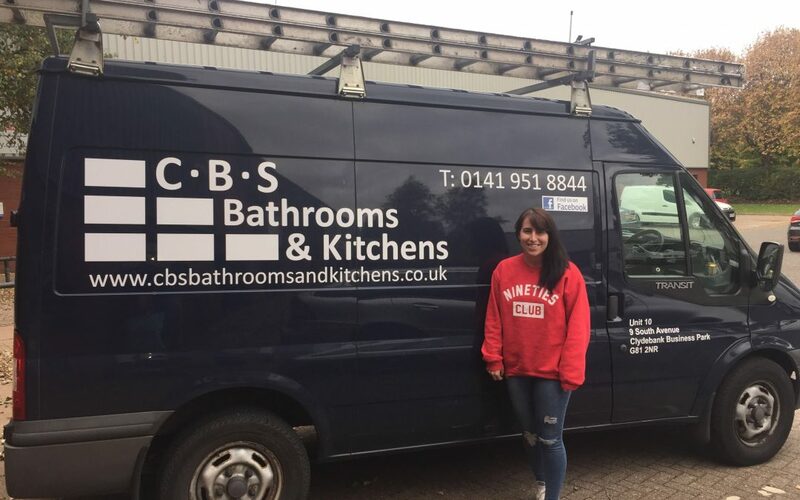 She stepped out of the showroom and helped Colin on the job to fit a bathroom in Alexandria! She helped Colin to strip out the old bathroom, learned a little about the plumbing as well as helping to install wall board and PVC ceiling panels. 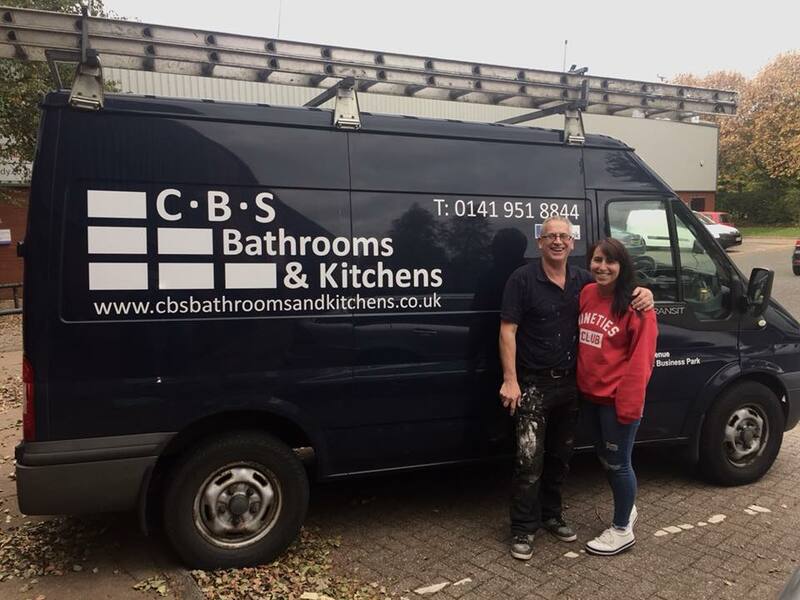 What a Father & Daughter team – Nice to see they were still smiling at the end of it!